Kindle loves this project because... Sandy Storyline is participatory documentary at it’s finest. Having just hit it’s two year mark in operation, this group has had tremendous impact on the people and communities in the ongoing process of rebuilding their lives after Hurricane Sandy. The result of their work is a treasure chest of stories, from families and individuals, each are gems of human experience. Their presentation is accessible and inspiring, a result of the intelligent and artful storytelling platform they created. 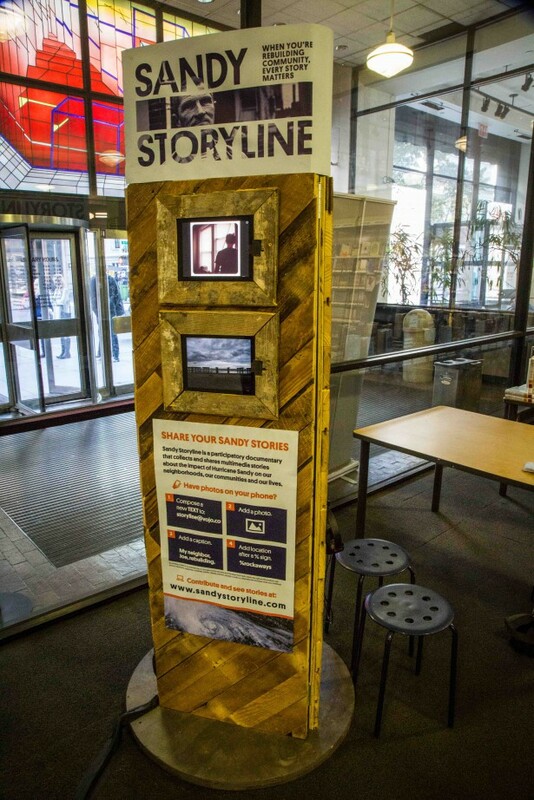 Sandy Storyline is a succinct and replicable model with great potential to serve communities around the globe now and in the future, as we all try to understand, relate and make sense of our changing climate and how it affects our homes and lives. Sandy Storyline Co-Director, Michael Premo wrote this piece (shared below) for wagingnonviolence.org last month, illustrating the democratizing effects of storytelling, as well as it’s value in the process of healing, rebuilding and truth telling after times of crisis.